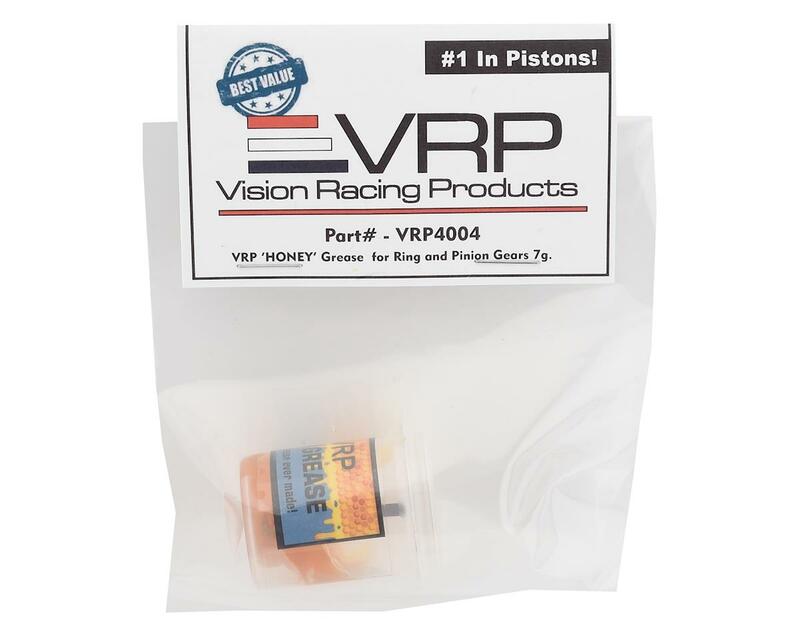 VRP Gear/Pinion Gear Honey Grease is the perfect grease for your ring and pinion gears. Its super sticky, but after a run or two, frees up and provides greater life span of your gears. Comes in a pop top container for storage, as well as a handy stir/applicator stick. Really good grease! Nice amount for the $ and the flip top container is nice. Mine came with a carbon fiber application stick! I used it in my EB410 and the drive train is butter! It felt like it was smoother putting the power down as well. Will be working on the 8th buggy soon and will be sure to use it there too. Another great product! I've been looking for a product to replace Eureka Pro for a year or so. 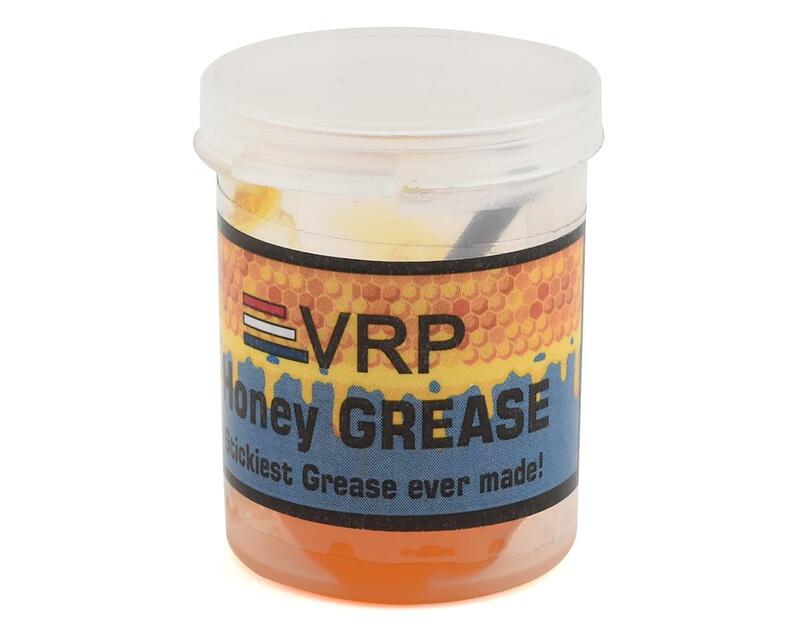 I think I'm going to stick with VRP's Honey Grease. The real upside to this grease is it's super sticky consistency. It will not sling off so you only need a small amount. I think too much would bind up the drive line. i would highly recommend wearing latex gloves to apply this stuff. If you get it on your hands, it will get on everything you touch--which is normal for most greases. However, you cannot remove this stuff without a solvent like Simple Green. It just doesn't wipe off which is the only downside. Another upside is the amount of Honey Grease in each container. Since you only need a small amount, this container should last for multiple years. I will probably try to put this in a syringe for application on ring and pinion gears.